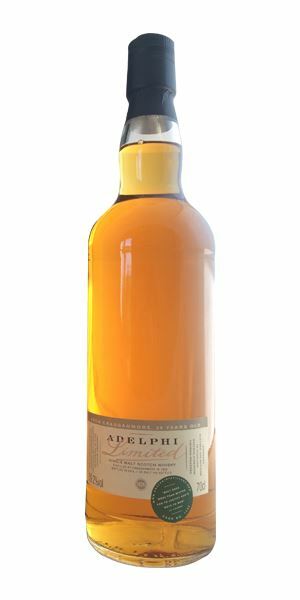 This week’s haul includes a brace each from Adelphi and Springbank, and an ancient blend, while Marilyn Monroe makes a visit to Speyside. Here, Cragganmore starts by showing its heavier side: lightly meaty (mince), some cypress, then cigar, a hint of woodsmoke, and hazelnut. Things take on a savoury edge with some sun-dried tomato before deepening and sweetening into a hedgerow fruit pie, then toasted teacake with butter. A rich and thick feel with a little heat from the alcohol, moving into light leather, those dark fruits, chestnut and very fine tannins. Excellent balance. 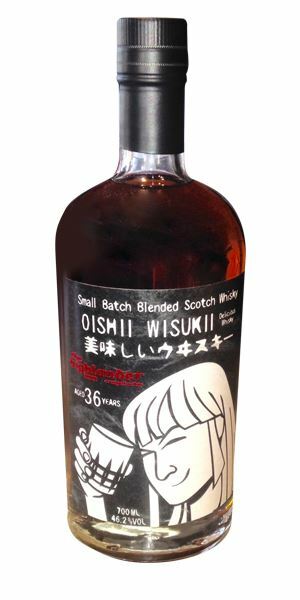 A strongly opinionated dram. Water adds a certain sophistication but don’t go too heavy on it. Cragganmore is a fascinating beast which can be heavy or light, fruity, spicy, or meaty. This is all of those. Highly recommended. Wandering through beech woods in early autumn, a cheroot jauntily balanced between your lips. An initial touch of malt bins gives way to dry grass and flower beds. As it opens up, it is this floral aspect which deepens and softens, along with some poached fruits. There’s lily, nemesia, then jasmine which continue to bloom, becoming heavier and more soporific and finally remind you of Chanel No5. Water softens it just slightly. There are more fruity elements on the tongue (cooked pears especially), but nothing can stop the flow of these heavy almost soporific florals. It’s Dorothy overwhelmed by poppies on the way to Oz. Water just brings out a light vanilla and a little structure. Long and soft. I’m drowsy and happily nodding off. Who would have thought Marilyn Monroe smelled of Glentauchers? It explains a lot though. Thomas de Quincey meets Marilyn Monroe in Mulben. 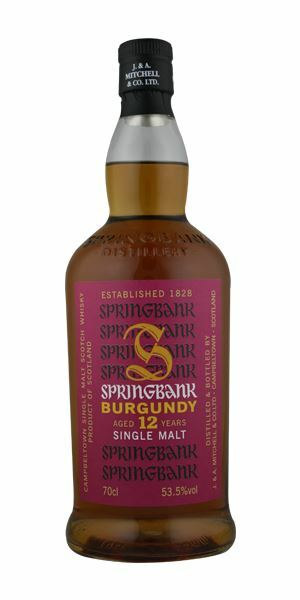 Allow this time to breathe and you’ll pick out light smoke, which then eases itself down into some classic Springbank notes of rich fruits, black olive, spice and a generosity of spirit. There are a few light green notes jagging their way through, adding a sappy lift along with some rubber and old paint (both aromas which I happen to like, by the way). 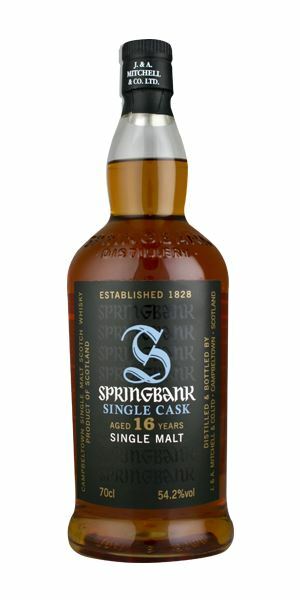 In other words, very Springbank. There’s additional smoke with water. The wine cask is not dominating, but possibly adding some black cardamom and pepper and that ooze of custard. The mid-palate kicks into life with kumquat, but everything is encased in this unctuous softness with black fruits, and the smoke snaking through. Water releases roasted notes, then Kendal mint cake, and chocolate. 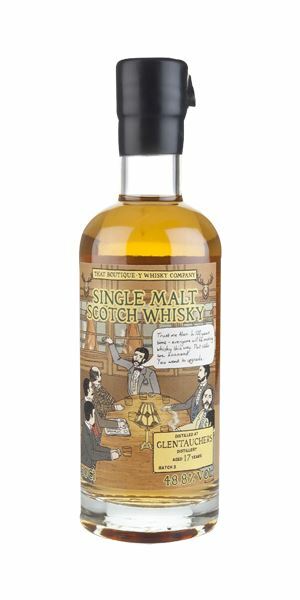 There’s 10,260 bottles of this wee beauty. Form an orderly queue. Campbeltown as an elegant, refined Victorian town. Sulphur to start, mixing with prune and dried ñora peppers. When it lifts slightly there’s dry roasted spices and some sticky date-like sweetness, but it’s a struggle to escape the whiff of cordite. The palate, amazingly, is clear. Damson, currant loaf, liquorice and then a spread of tapenade and a hint of smoke. Water shows a real elegance and figgy depth, then mulberry jam. A bit too much of the firecrackers for me. The palate is great though. Campbeltown as Sodom and Gomorrah. A little hot at the very start with a hint of acetone, then some apple, bamboo shoot, then baby oil, scented grasses, white tea, melon and cucumber. It becomes more linseed oil-like in time. Water increases this, with a slightly charred smokiness at the very back. Very clean and fresh to start, with lemon peels pricking the tongue, before the oils ooze forth, coating the tongue with added touches of beignet and sugared almond before things shift back to zesty citrus. Water increases the slippery texture in a rather delicious fashion. It’s a classic Teaninich and if a little one-noted in its delivery, the palate has drive and character. I’d have a couple, possibly mixed with green tea. Looking after a baby at a cricket match. Batch 42 20/05/2016 Islay whiskies to mark the start of Fèis Ìle, with peat to the fore – but not altogether dominating. 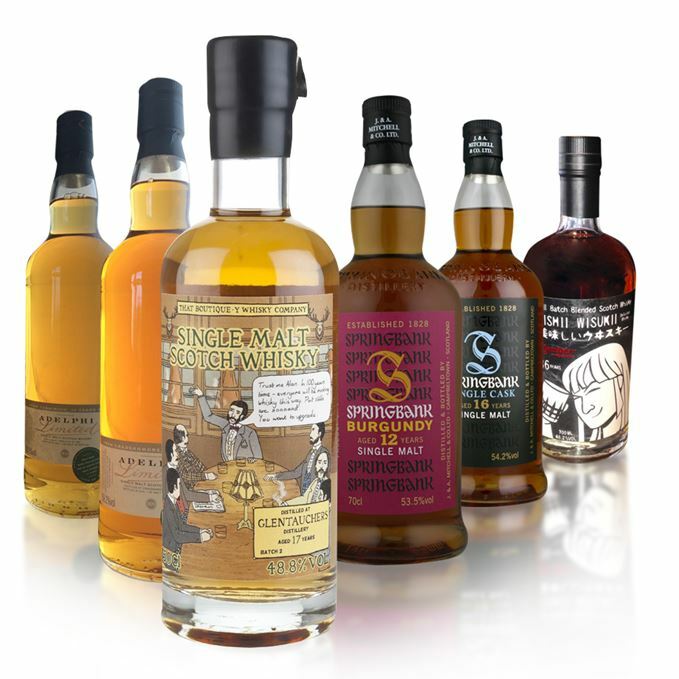 Batch 40 06/05/2016 Two newies from Compass Box, a pair of Boutique-y bottlings, a Benromach and a Highland Park.